Located conveniently in Sauchiehall Street between the City Centre and the West End. 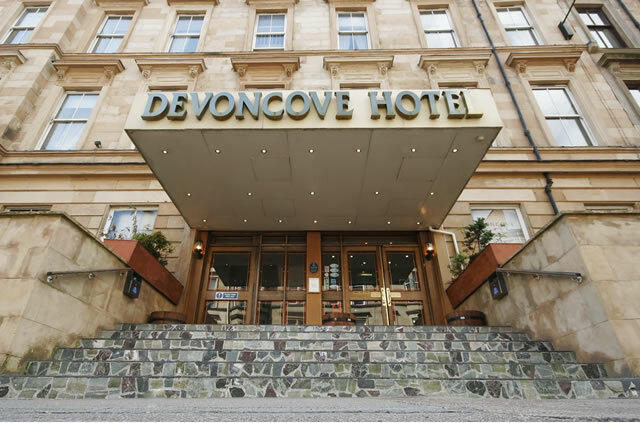 The Devoncove has 83 rooms and is walking distance to the SEC and the Hydro. The West End is only 5 minutes’ walk as is Glasgow City Centre. On site car parking is available and there are good public transport links to all areas of Glasgow by train, bus or underground. The hotel has comfortable beds, a 24 hour reception, tvs in bedrooms and free wi-fi. Free continental breakfast is available. A cooked breakfast can be bought for an extra cost.